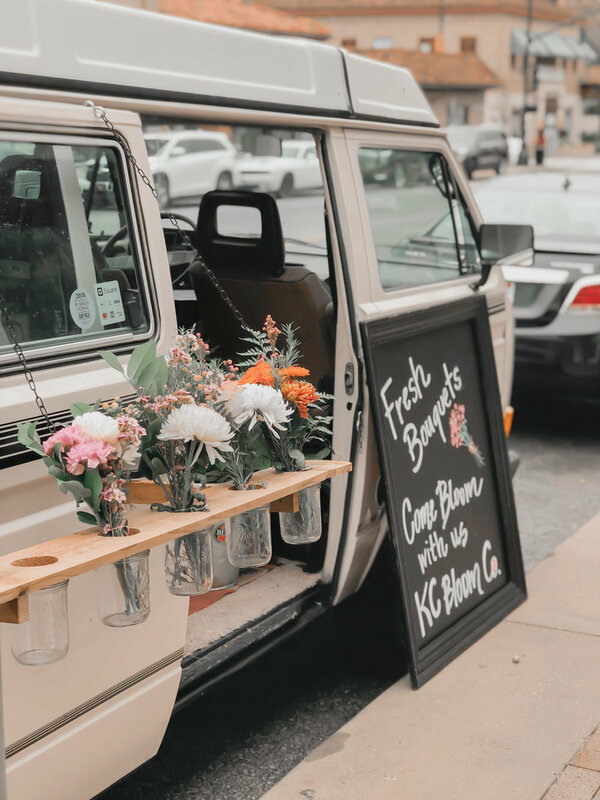 April showers bring May flowers, but in case you can’t wait that long, Annie Austen (of Instagram’s Austen Adventures) is here to guide you to all the fabulous florals available in KC. The ground is thawing, the trees are budding, and the Royals are in training – it’s springtime in Kansas City! 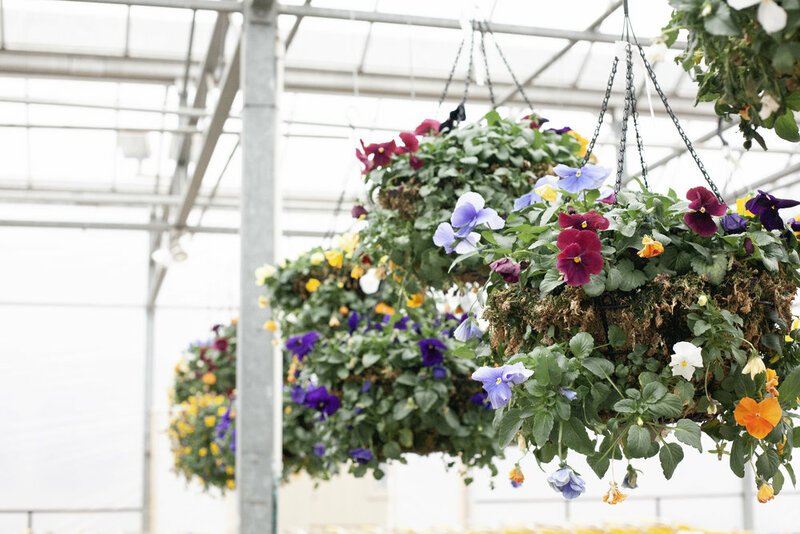 From nurseries to flower shops to pop-up floral parties, there are many ways to kick off the spring season. Read on to learn about some of my favorite flower-forward businesses in KC. Let’s be honest, as nice as it is to be out and about, sometimes a night in with the gals is just what you need! Enter Heroine Flowers’ Flower Fêtes. They deliver the flowers and supplies (including a DIY champagne cocktail, the most necessary tool of all), send how-to videos, and even supply Spotify playlists – all you need to bring is your creativity! From event design to curated weekly arrangements to flower parties, Fiore Florals has something for everyone. What better way to celebrate springtime than with your loved ones learning to create something beautiful? From floral crowns to vase arrangements, Fiore Florals will provide an instructor, the supplies, and the blooms to make something beautiful! 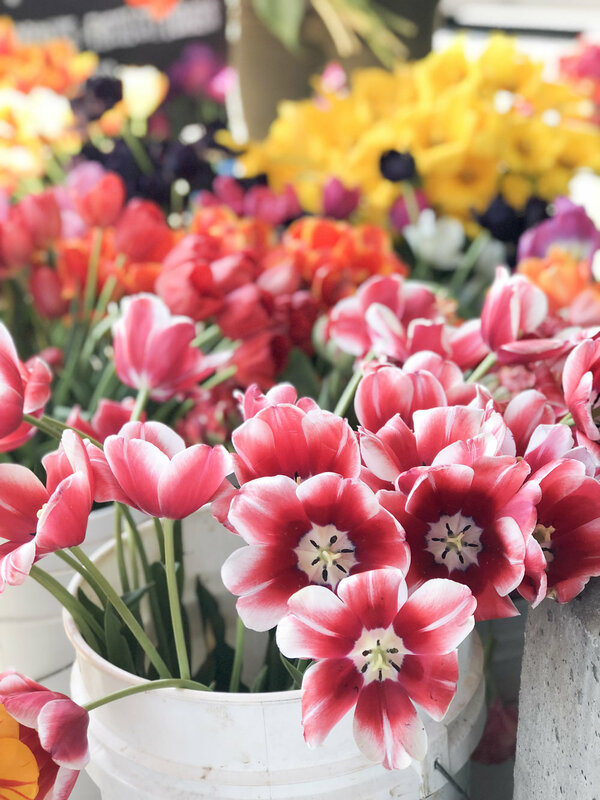 When I imagine my perfect spring day I think of long walks through the aisles of flowers at Family Tree Nursery with a Café Equinox coffee in hand. You can easily pass a whole Saturday wandering through the aisles and greenhouses here. Pick a pot, your favorite plant, and pop by the potting station to get your leafy babe ready to go home with you! 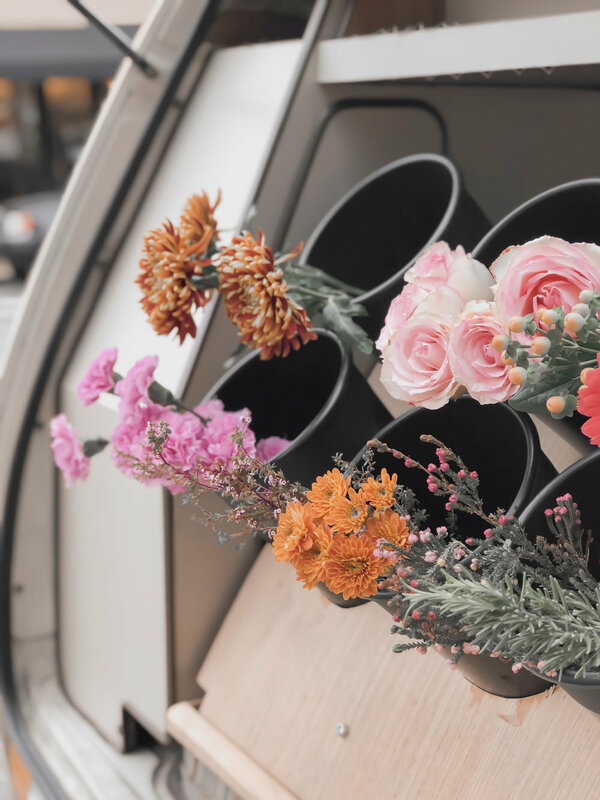 Since 1932, Crestwood Flowers has been brightening the lives of Kansas Citians with their gorgeous arrangements and gifts. This mom and daughter shop is filled with vintage charm and in addition to beautiful floral arrangements, hosts a wonderful array of gifts for any occasion. Pop into Cafe Europa for one of their mouth-watering lemon cupcakes, and enjoy a spring afternoon strolling through the Crestwood shops. Sometimes you just need the experts to come in and work their magic. Cue The Cottage Rose. Offering both floral design and event coordination, The Cottage Rose is there to infuse your event with boho charm. Oh, and if you want to see their gorgeous shop, they do host First Friday events during the warmer months so keep an eye out! It’s just about the most Instagrammable spot in the Crossroads, so have your camera at the ready. Kansas City’s first flower van is here to brighten our streets this spring! Whether you want to create your own hand tied bouquet or leave it to the flower experts, you’ll be sure to go home with a gorgeous arrangement. Keep an eye out on their website to see where they’re popping up next or book them for your own event for a one-of-a-kind party favor! My ideal Saturday spring morning always consists of a trip to the City Market. I like to grab a boba tea, pick up some produce, and find the biggest, freshest bouquet to take home with me! 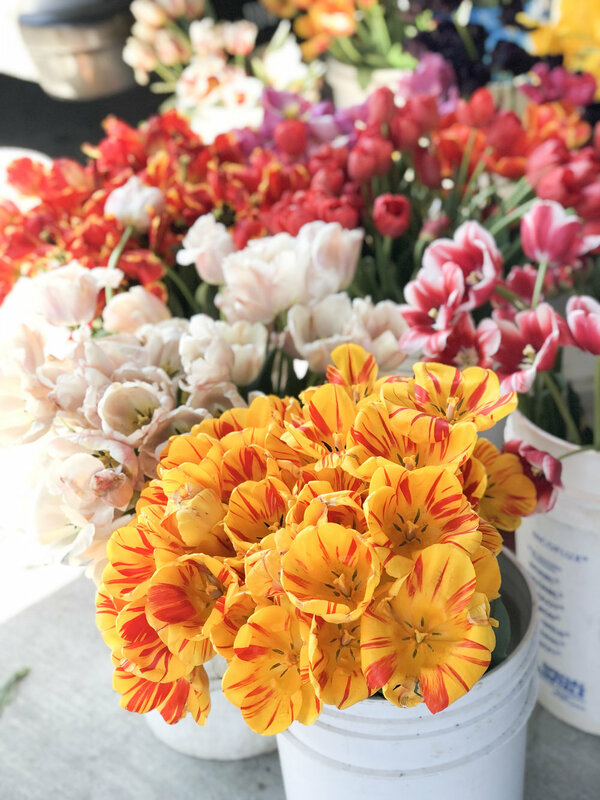 There are so many incredibly gorgeous seasonal flowers available at City Market and they always come in a wide variety of colors. Some of the vendors will even create a bespoke bouquet if you ask nicely, and it’s always fun to watch them work their magic from buckets upon buckets of wildflowers.